The last Friday of every month I teach a yoga class at Bound Lotus Meditation & Yoga Centre with an extra-long relaxation period. Last week wasn’t the last Friday of the month (May has 31 days? since when? ), but the 6:30pm yin yoga class got an extra-long relaxation anyway. Maybe I sensed that students (particularly those completing the 40 Day Transformation Yoga Challenge!) needed a little more rest. Maybe there was requiescence in the air. 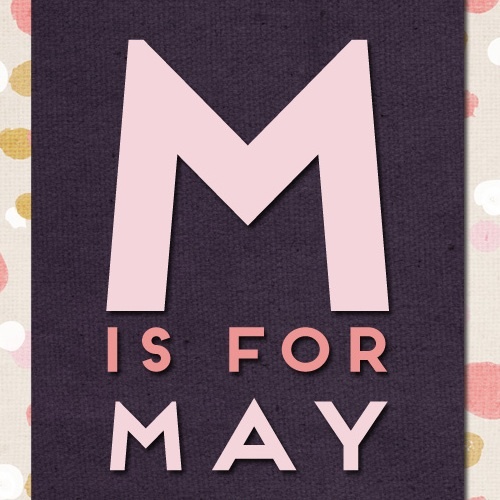 Maybe I just can’t keep track of days and months… Or maybe this May has two last Fridays! As the second last-Friday-of-the-month class, tonight’s yin yoga class at Bound Lotus will feature an extra-long savasana (corpse pose) with yoga nidra (guided relaxation) to help really dispel tension and stress. 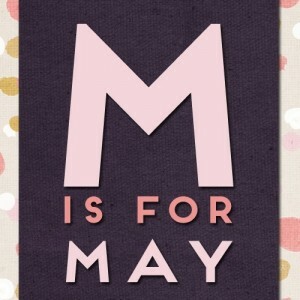 Come celebrate the May with two last Fridays! Class starts at 6:30pm, deep conscious relaxation begins shortly after. P.S. If you want to learn more about yoga nidra, the Yoga Wonders website has a nice overview of the practice. All that time wondering how to be happy… here’s the trick! The secret of happiness is to count your blessings while others are adding up their troubles. On Sunday evening, I went to the Healing Circle Meditation at Bound Lotus Meditation & Yoga Centre, along with 30 or so other people and one dog! My dog, Sofie, is a skilled meditator and has participated in a number of group meditations at Bound Lotus. Sofie regularly joins me when I practice yoga or meditate at home, so she’s very used to the process. Within minutes of rolling out my yoga mat, she’s on it. Sometimes I can convince her to provide assists, like applying a little pressure to my hips in swan/pigeon pose or letting me use her as a prop in child’s pose. And she’s always willing to rest next to me during savasana. One of the challenges of any meditation or yoga practice is letting go of all the mental clutter and simply experiencing the present moment. Dogs are masters of ‘now.’ Sofie doesn’t understand ‘later,’ or ‘before,’ she’s entirely in the present. Exactly how I want to be when meditating! The Healing Circle Meditation is a free monthly event at Bound Lotus. If you or someone you love could use a little healing boost and/or you’re interested in experiencing a group Kundalini meditation look for the next date on the Bound Lotus website. Hopefully Sofie and I will be meditating there with you! 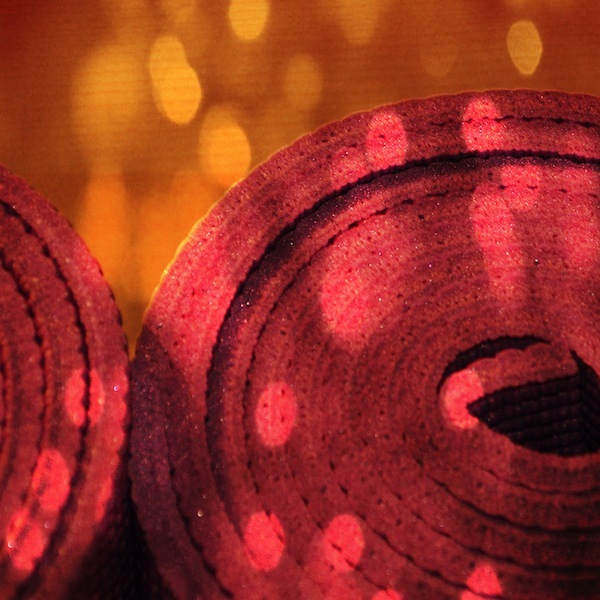 When I’m grumpy or anxious or unsettled, often the best place for me is on a yoga mat. Yesterday, when I was irritated by a bunch of mis-fires, ‘practice’ was a few postures that didn’t stress my tender knees while listening to happy-making music (including my current favourite What I Wouldn’t Do by Serena Ryder) and 10 minutes or so of meditation. Quick, unchallenging, and effective. When I’m nervous or tired, ‘practice’ is often a restorative pose or two – spending time doing nothing, just being still and quiet. If I’m anxious or jittery, a few rounds of the flying dragon flow (from Paul Grilley’s Yin Yoga DVD) can be just the thing to work off that energy and settle me. When I roll out my mat and spend a few minutes grounding myself, I usually get a strong sense of what kind of ‘practice’ my body and psyche need. It’s generally uncomplicated poses and a fairly short sequence – not a big commitment. Practicing for even 15 minutes usually takes the edge off of whatever emotions have taken over and brings me to a happier state. Getting onto the mat is easy to do… and has a big impact. Trouble is, I forget how much better practicing yoga makes me feel and how easy ‘practice’ really can be. I need to continually remind myself how effective ‘practice’ is and that a yoga mat is a wonderful tool! If you want to get to the mat and need a little prodding, join me for a yin yoga class at Bound Lotus Meditation & Yoga Centre. I’m teaching three classes again this week – Wednesday (today) at 4pm and 8:15pm and Friday at 6:30pm. This week I’m teaching three yin yoga classes at Bound Lotus Meditation & Yoga Centre: Wednesday and Thursday from 8:15-9:30pm and Friday from 6:30-7:45pm. Bound Lotus is in the midst of a 40 Day Transformation Yoga Challenge, so the class on Wednesday will be the last of the Detoxify series and the one on Thursday will be the first of the yin classes to in the Strengthen and Balance series. The sequence of poses for Wednesday’s class is all about the glandular and nervous systems and features poses that will stimulate your hips and elongate your spine. The set of poses for the Thursday and Friday classes will help you gain a new sense of your body’s strength and balance… and work out tension in your hips through dragon pose! Live in BC? Go vote! Image from Ann Douglas’ photostream. Some rights reserved. 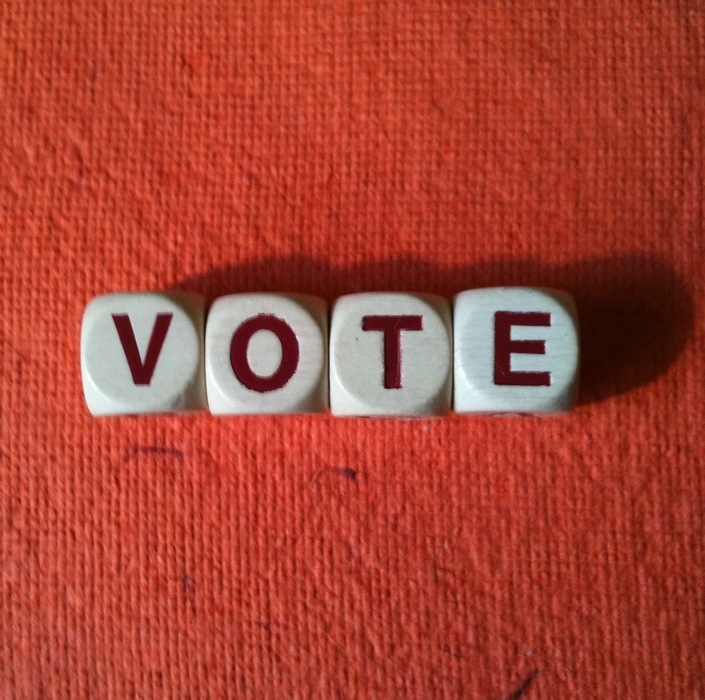 Tomorrow, May 14, is general voting day for the BC provincial elections. If you’re a Canadian citizen and have lived in BC for the last six months (see full voter eligibility requirements from Elections BC), go vote! Voter turnout rates in Canada continue to decline and I can understand why. It can be hard to follow politics, easy to believe that casting a ballot has no impact, and difficult to identify with political parties and candidates. Organizations like Apathy is Boring encourage voting seemingly just for the sake of voting. Doesn’t matter if you know anything about the candidates or the issues… just cast a ballot. While I’m not fully in favour of voting just because you can, I agree that voting is better than not voting. I like the idea of all voters being informed, but I know that’s not reasonable. Many people don’t want to be entirely engaged or don’t support the process. I believe that the best way to get people interested in the democratic process is by having them participate. Voting is a pretty low-barrier method of participation. Casting a ballot is seriously easy (check out this video on what to expect when you vote) and doesn’t require policial affiliation or interest. It generally takes just a few minutes to mark your choice and you always have the option of expressing your frustration with the system by spoiling your ballot. The number of spoiled ballots are reported to elections officials and if everyone who didn’t feel there was a good choice or who didn’t like the system spoiled their ballot, there would be a significant number of void votes. That would be a serious news story and a credible message to politicians that things are seriously wrong. While I am politically engaged, I’m not strongly partisan. I have yet to find a political party or candidate that I wholeheartedly endorse – although there are many that I strongly disagree with! I tend to vote based on which party I think will do the least harm or which candidate seems the least nuts. Image of Where to Vote cards from the Elections BC website. All rights maintained by original source. I’m showing my non-partisan support for democracy tomorrow by manning a polling station. I’m serving as a voting officer in the North Vancouver – Lonsdale district (find your electoral district on the Elections BC website), where there are 23 different places to vote on Tuesday, May 14 – that’s a lot! 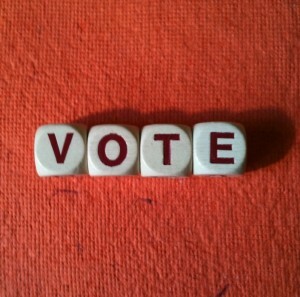 If your Where to Vote card has my polling station on it, maybe I’ll see you there! And if you can’t get to the polling station indicated on your Where to Vote card between 8am & 8pm on Tuesday, or simply didn’t get one, you can cast an absentee ballot at any polling station (Elections BC has more details). The sad part about casting an absentee ballot is that they’re not counted in the results that are reported on election night. It takes a while to get absentee ballots back to their proper electoral district, which means that they’re part of the final counts and can have tremendous impact in close races, but aren’t part of any nail-biting results reporting on election day. Having worked at polling stations for previous elections, I’ve witnessed the enormous power that comes with voting. I’ve seen people who have moved to Canada from non-democratic regimes tear up as they cast their first-ever ballot. I’ve watched parents explain the process to their young kids (and let the kids drop their parent’s ballot into the box). I’ve even seen a teenager voting for the first time bring along his dad… who was also voting for the first time. People seem proud to vote. I never know which way their ballot is cast, but I do know that voters are engaged in the political process and making an effort to have their voices heard. Make your voice heard! If you meet the eligibility requirements, go vote! Photo from skjdksfkssdflkfsld’s Flickr photostream. Some rights reserved. The flurry of media coverage about the collapse of a Bangladeshi garment factory has me thinking about my own purchasing habits, specifically how differently I approach buying groceries and clothes. I lean towards shopping locally for groceries. I enjoy getting fruits and vegetables from the farmers’ market or the neighbourhood green grocer and chatting with the vendors. I like knowing the staff at the butcher around the corner and asking for suggestions on what to have for dinner. I love that the counterperson at the bakery down the hill knows which bread is my favourite. I also favour organic groceries whenever possible – although often the price differential shocks me into non-organic purchases! If organic isn’t viable, I’ll look for options that are locally raised or grown. I’ll pick apples from BC or Washington over those from Australia or New Zealand. I’ll choose free-range eggs from a farm I could reach in under an hour instead of those trucked in from a different province. Buying food from people I know, supporting stores where I live, and choosing organic and/or locally-grown options feels good. When it comes to clothing, however, all of those considerations go out the window. I prefer a more anonymous approach and almost entirely ignore questions of sustainability, ethical production, and support for local manufacturers and retailers. I blame it on a strong dislike for clothes shopping. 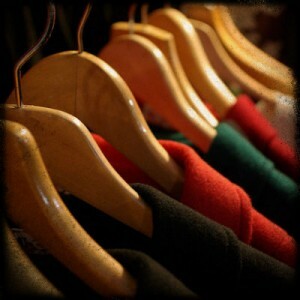 I’d rather not spend time, effort, and money on finding things to wear – I want cheap and easy. Instead of small boutiques with attentive salespeople, locally-crafted goods, and sustainable options, I head to H&M or Old Navy and try on a flurry of different styles and colours while interacting with staff as little as possible. My dislike for clothes shopping feeds itself as I feel no connection with the items I end up taking home or the people who sold them to me. Grocery shopping satisfies not only my need to eat, but also helps me connect with my community. In addition to limiting connections with those around me, not making conscious, deliberate choices when shopping for clothes encourages a larger problem of manufacturers not being accountable and transparent. I vote with my dollars when grocery shopping, but haven’t taken the same action when apparel shopping. Frequenting smaller retailers that carefully select their suppliers and have salespeople who help me feel good about the process of clothes shopping could allow me to mimic the experience of grocery shopping; personal, local, and maybe even enjoyable!